Venue: Full Circle Brewing Co.
Notes: 3 powerhouse tribute bands in one night!! 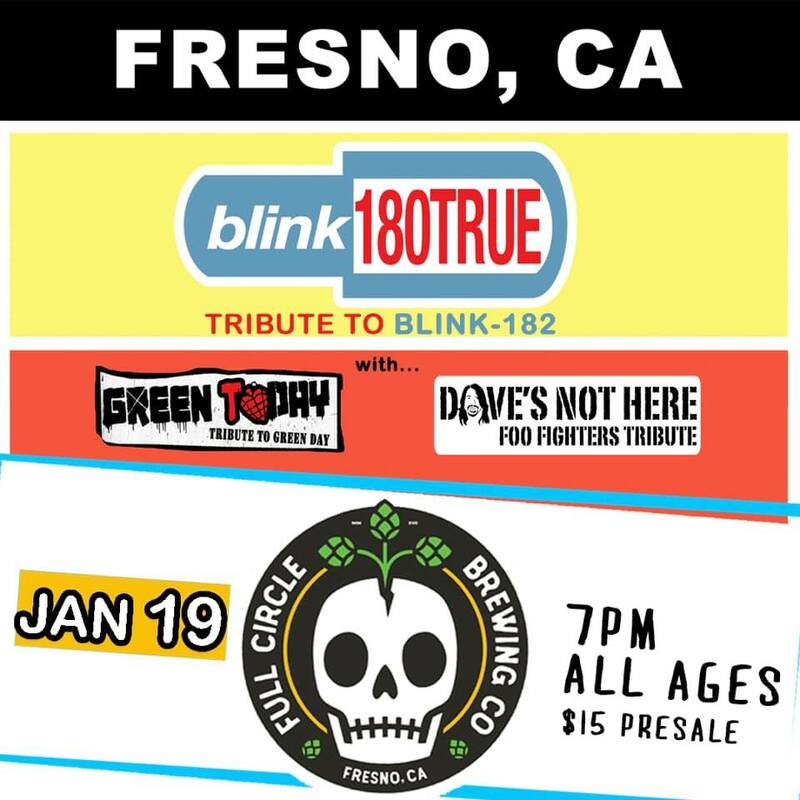 GREEN TODAY, Blink180True, and Dave’s Not Here (Foo Fighters tribute) rock an all ages show at Full Circle Brewing Co. in Fresno, CA. Get your presale tickets online for $15 or $18 at the door. 3 powerhouse tribute bands in one night!! rock an all ages show at Full Circle Brewing Co. in Fresno, CA. Get your pre-sale tickets online for $15 or $18 at the door.